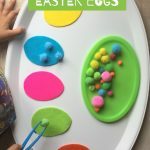 Welcome to another themed blog hop by an awesome group of kid bloggers! 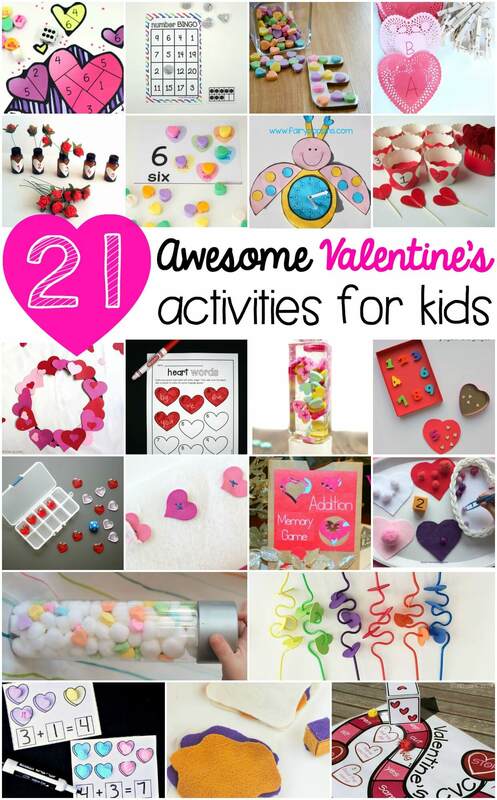 This month’s theme is…you guessed it: Valentine’s Day! 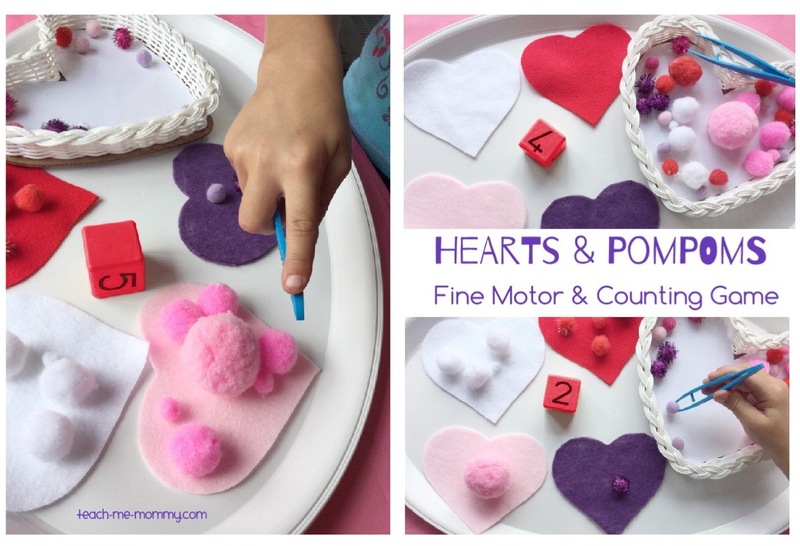 We had fun with a Hearts & Pompoms Fine Motor and Counting Game! 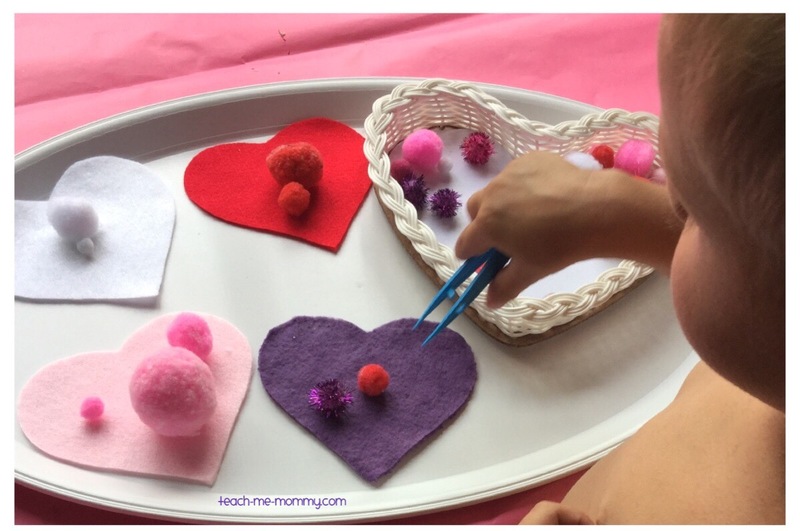 With my 3 year old, we only matched colours to the correct heart using the tweezer, a great fine motor activity. 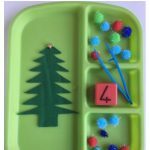 But my 5,5 year old needed a challenge, so I turned the same tray into a counting game for her. Pick two colours each(when you play two people, up to four can play, each with a colour). Roll the dice and count pompoms of your colour heart out and place on the heart. The one with a full heart(no more pompoms on the tray) wins! A very simple game, but lovely for younger kids. Skills worked on: visual discrimination(when colour sorting), fine motor skills(when picking up the pompom with the tweezer), number recognition and counting skills(working with the dice) and game spirit too! 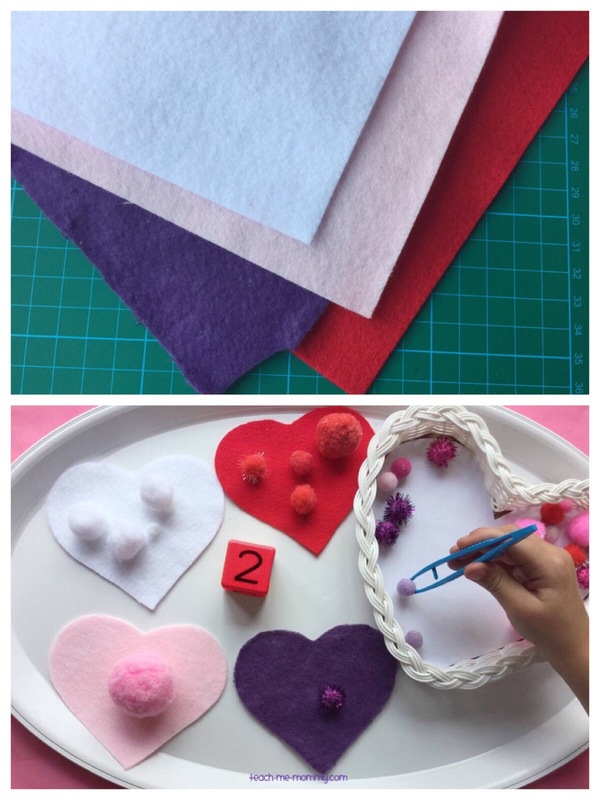 A fun Valentine’s Day/Heart themed learning game for kids of all ages!